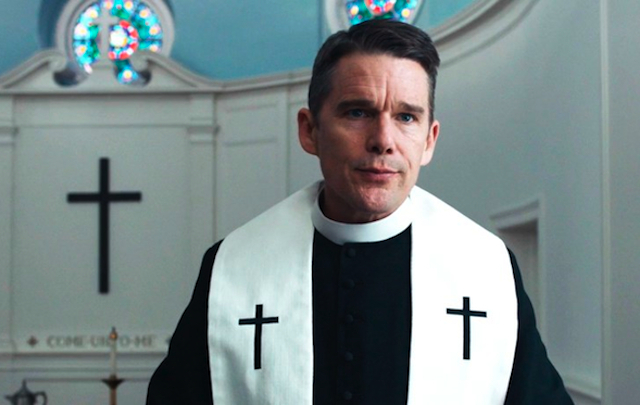 “First Reformed” centers on Reverend Toller (Hawke), whose past includes a role as a military chaplain, and later as a father of a soldier who dies in battle. He ministers at a First Reformed Christian church, but the ministry is carried out mostly through historical tours (the church was a prominent stop for the Underground Railroad of the American Civil War era) and less through church membership. Toller’s life is altered when the wife (Amanda Seyfried) of a troubled environmentalist (Phillip Ettinger) seeks counseling for her husband. The results of that counsel upends all their lives, especially the minister who suddenly cannot face his own difficult circumstances. 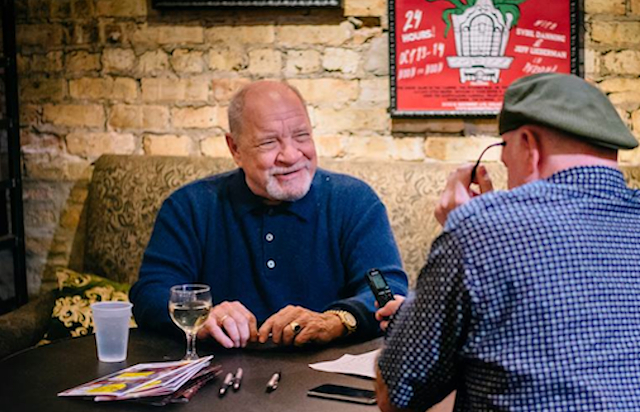 Writer/director Paul Schrader has had a lifelong fascination with flawed and isolated characters through his film work. He was born in Michigan, grew up in the Calvinist Christian Reformed Church, and the strict guidelines of that sect meant he did not see his first film until age 17. But that launched his career, as he received his Masters Degree in film studies, and became a film critic for the Los Angeles Free Press. In 1974, he wrote his first film, “The Yakuza,” which brought his work to the attention of the 1970s generation of “New Hollywood”… including Martin Scorsese, Brian De Palma and Steven Spielberg. In the following Podtalk, Paul Schrader speaks of his religious past as an influence for “First Reformed,” and his connection to the 1970s film era.